Update! Congratulations IANNA! We used Random.org to pick a comment number and you’re number came up (#50)! You are the Winner of our $30 Giveaway! Woo Hoo! Hello! Did you come over from our live recap post? Welcome! As mentioned over there, our giveaway today is for a $30 gift card for anything in the SpeciallyForU Etsy Jewelry shop! To enter, just leave a comment on this post. Just for a recap, SpeciallyForU makes personalized hand crafted name jewelry in Korean, Chinese, Japanese, and English. They use sterling silver and brass with three kinds of gold plating (yellow, white, and rose gold) for all their jewelry and all their jewelry is designed and handmade in Seoul, South Korea. They also ship worldwide. You can read about their policies here. One customer wanted her name in Korean and put it as a key chain on her purse. Check out the photo below to see how that came out. GORGEOUS. For those of you who are not familiar with Etsy, it is a website that is dedicated to small businesses and better helps small businesses sell their merchandise to an international audience. It is kind of similar to Ebay except it is for handcrafting (not just reselling). If you have hundreds of sales and dozens of reviews on Etsy then you are doing good. SpeciallyForU has thousands. That is really amazing. I reached out to the owner, Bea, to see if she would be interested in doing a giveaway and was so happy that she thought it was a wonderful idea. A $30 gift card is up for grabs for this giveaway and it is open worldwide! To enter this giveaway just leave a comment on this post. If you want, you can let us know what you might want to purchase or have made from their shop, but that is absolutely up to you. Any comment on this post is entered. This giveaway will be open until the end of the day Monday! Below are several more images of the various Korean, Japanese, Chinese, and English jewelry items available. But there is so much more available at their shop. Happy Shopping! SOOOOO much more is available at their shop, this is only a small snippet. So go there if you want to see all that they can do! The korean bracelets are really cute! 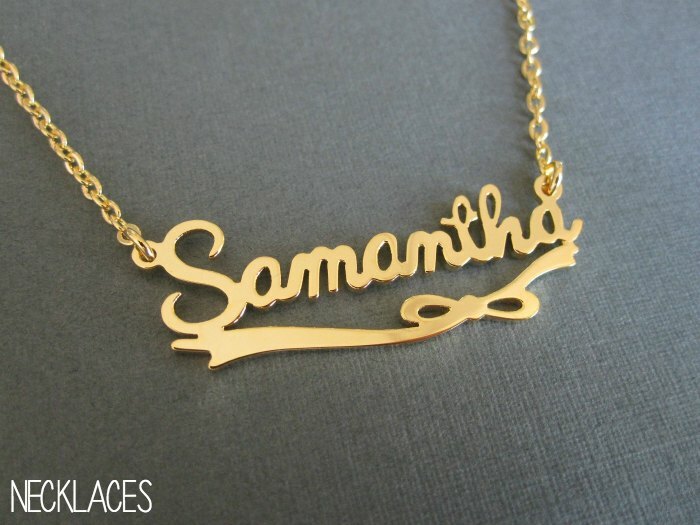 I like the necklaces with names or the initial is cute too! Thanks for having this giveaway! Now, time to keep stalking the recap page hehe. Oops, sorry I didn’t see the first entry went through and thought it didn’t so commented again. You can delete all the extra comments. Thanks. I really like the korean engraved heart shaped necklace!! I’d probably like to put my name and my kdrama crush’s name on it in Hangul. OMG I LOOOOVEEEE THESE NECKLACES! 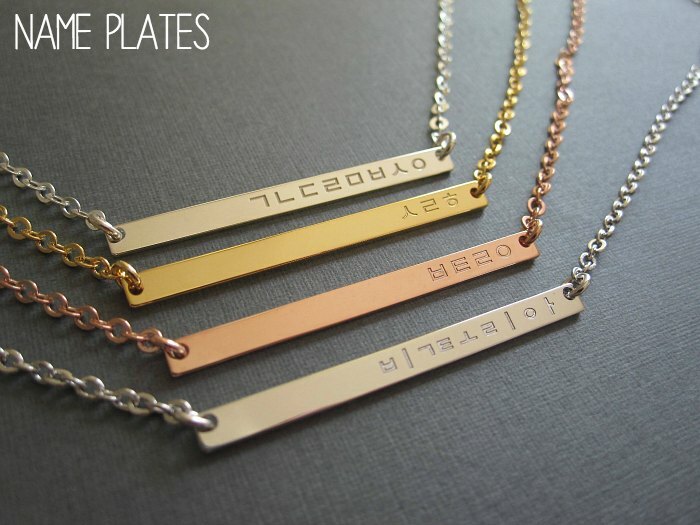 Korean is such a beautiful language (or generally any Asian language because I’m such a sucker for their font haha) AND I’D LOVE LOVE LOVE TO HAVE ONE OF THESE NECKLACES! I’d get my name and/or my drama bias’s name printed on it if i win! And it’d be so pretty to show to my friends who are also into Kdramas! the bracelets are modern and trendy, yet cute! Beautiful and very personal. I would really like my name in Chinese on it. Very nice! So hard to choose which ones to get. Probably the keychains so I can see it everyday via my handbag! Love this and love What’s wrong with secretary kim!! Omo, all of them looks great & unique, especially the bracelet one with korean name on it. This makes me regret I’m not from one of those countries with pretty characters instead of the regular alphabet! But I’d love to enter still. I want one of these necklaces. Oh how cute! I love the bracelet, and name plate necklace! I’d want to get the bracelet though! This is so pretty. I love the hangul ones. 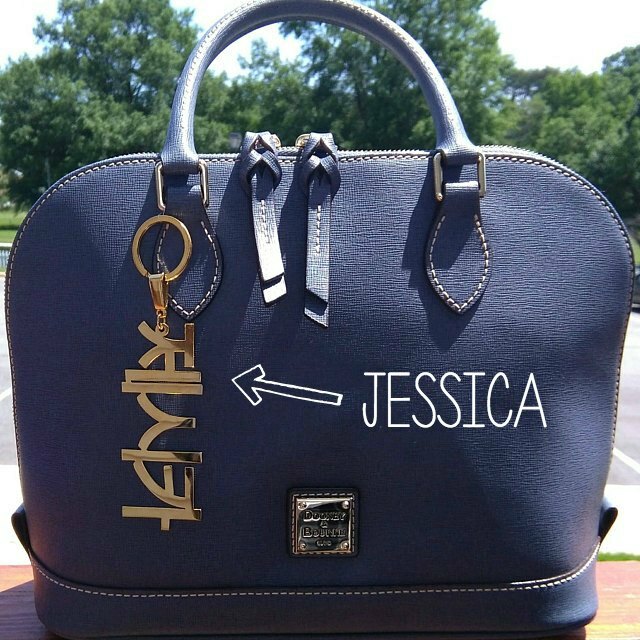 Oh my gosh a rose gold keychain of my name in Hangul would look so good on my purse! This shop is amazing! Also Wednesday and Thursday are the best because What’s Wrong With Secretary Kim is such a great show!! I love the vertical hangul name necklace! & the monogram key chain, the name keychain with knots+little pouches (so cute 😍). Also saw some with vines & swirly designs, they look beautiful. It’s like the perfect way to indulge your vanity without blatantly flaunting it, if Korean/Jap/Ch are not a native language. Thanks for introducing me to this shop, I think I’ll make a purchase sometime. I love you for doing international giveaways, yay! I’d love a keychain with my name spelled in korean, that would be fun! May the odds be ever in my favor lol good luck to everyone. These are very pretty name plates and key chains! I love the personalized jewelry. Very curious how my name written in Korean. I really want it. Thank you for this special giveaway. these are so dainty and adorable! i’ve been loving the dainty jewelry kim mi so wears in whats wrong with secretary kim! What a wonderful gift for yourself or someone special! Would love to have such a treasure! They look really pretty and the font for each language is so elegant! I really like the necklaces! So cute! Thanks for this wonderful opportunity to win! These are fantastic!! 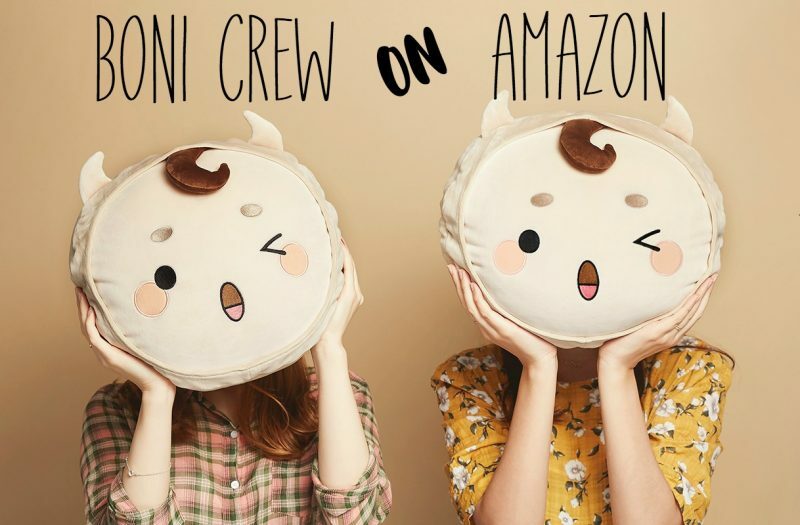 Thinking gifts right now – that you for introducing me to this shop!! Woah, this giveaway is really cool! I’m actually learning Korean right now and it just looks amazing! They’re all so pretty though! Thanks for showing this shop and for putting in all the effort along with all the recaps!! I really love how great and intricate it looks…I was thinking of having my name in Hangul with BTOB’s logo on the side of it to commemorate my being a Melody more than a year ago, it’ll be a perfect way to show my love for kdrama and kpop!!! 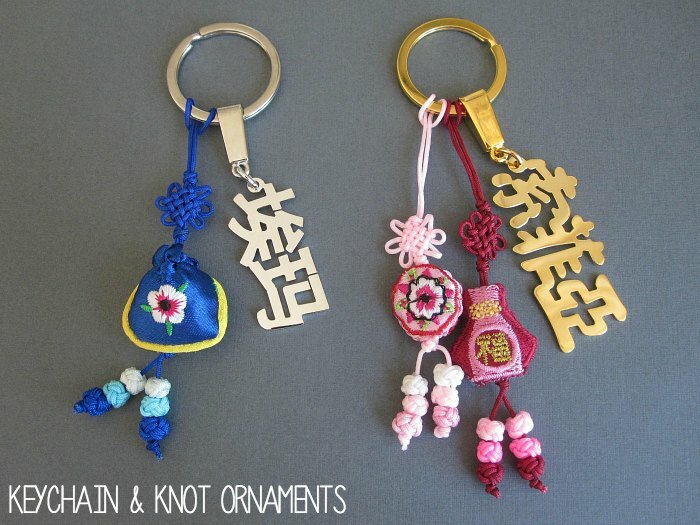 I really love the Korean name keychain with knot ornaments, and the chinese name keychain with knot ornaments too! Very unique! Thanks for introducing this cute store to us! I love the Korean Name Keychains with the knots. I’d hang that on my purse and then when my phone rings with the latest Kdrama OST song, the picture will be complete. Seriously love k drama, your site and these necklaces.